Andrews First Baptist Church - Andrews NC: New Here? There are four ways which you may choose to join our church. 1. By profession of faith in Jesus Christ and wishing to be BAPTIZED into the fellowship of our church. 2. By LETTER from another Baptist Church of like faith and practice. 4. As an ASSOCIATE MEMBER. If you are a seasonal resident of our area and a member of a Baptist Church in your home area, we invite you to become an Associate Member at First Baptist Church. 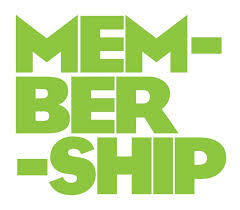 This would not require changing your membership, but would put you under our watch care while you are here with us. At the close of each sermon, a hymn of invitation will be given. During this time, we invite you to come forward to where our minister will meet you and talk with you about your decision. If you need prayer or other spiritual guidance, he will also be able to help you. May God bless you in your decisions.If you have any questions about any of these, please contact our pastor.